The importance of ensuring that central heating boilers are regularly serviced cannot be understated; not only are boiler inspections required by the law, in the context of health and safety they are completely necessary. Carbon monoxide poisoning kills around twenty people in the UK each year, with many more left ill or injured, whilst other complications can arise in central heating systems that can impact on the wider community. In short, a boiler that is left unchecked can risk lives. It ought not to come as a great surprise, therefore, that a local authority has been forced to evict a mother and son who repeatedly denied Gas Safe engineers to access their home. Although the context in which access was denied to the engineers remains unclear, it has been reported that the family of Windrows, Skelmersdale, physically prevented the engineers from accessing the house, which is obviously necessary in order to carry out an annual boiler safety inspection. Councillor Ian Grant noted: “As a responsible landlord, West Lancashire Council has a legal duty to carry out the servicing of gas central heating systems and boilers every 12 months”. By denying access to the engineers, Pauline Hawkes and her son Stephen Hawkes not only put their own lives in the balance but also put their immediate neighbours at risk; as such, the council sought it necessary to act before any problem arose. The eviction of Pauline and Stephen Hawkes mirrors an event that occurred recently in Wiltshire, where it has been reported that 18-year-old Sam Hawkins was removed from a flat owned by Selwood Housing after he missed an annual boiler safety inspection. The circumstances of Mr Hawkins’ eviction are somewhat different to those of Pauline and Stephen Hawkes, however, in that the Wiltshire resident was behind on his rent and had reportedly caused various antisocial disturbances to neighbours. 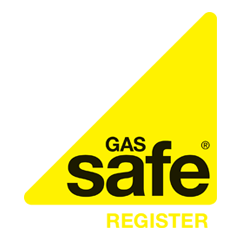 Nevertheless, the requirement to ensure that gas boilers are fully checked and serviced at least once a year is a responsibility that is taken extremely seriously by housing authorities, who must put the health and safety of residents above all else.